It wasn't until 1880 that local authorities had to ensure that children in their area were suitably educated, although a number had been doing that since 1870. But it wasn't education in quite the same form as we know it. It ended much earlier, as children went out to work. In fact primary education was all many enjoyed until the Education Act of 1944. Yet school records can form a useful tool for the genealogist. After 1862, schools which received state aid had a system that was essentially payment by results. However good or bad that might be, it did mean that more accurate records had to be kept, so school registers began to include not only the names of children, but also their dates of birth, addresses and parents' names. The problem is that not too many schools have hung onto these registers (hard as it may be for the ardent genealogist to believe, not everyone thinks a 120 year-old school register is valuable and worth saving). However, it's worth trying the local education authority and even the school itself. They're under no obligation to help, but some head teachers might be gratified that someone was taking an interest in their school. You should also try county record offices, local libraries and archives. Even if the register isn't around, the school log book might be. It records the curriculum and some daily events. You can often find pupil names in there, although there's no guarantee the one you're seeking will be included. As to what school a child might have attended, city or county directories can offer a good guide. If you know the family's address at the time, you can pinpoint the nearest school. Be warned, however, that in cities, nearest wasn't always the one attended. There could be several factors (such as religion) influencing where the child was educated. For many before 1880, and beyond, Sunday schools were an important source of education, under the auspices of the church. Children who worked during the week (and many as young as six were putting in 12-hour days) often attended Sunday schools. Some Sunday school registers remain, but it's very much hit and miss. The grammar school of a couple of centuries ago was the only form of further education for most children, and only a small minority were able to take advantage of it. Fewer still were sent to public schools. In many cases the registers remain, and you can either find them in the schools themselves (some have even been published), in the local education office or county records office. Some grammar school records are quite full, with mentions of trustees and teachers, which could offer research possibilities of their own. Even today, the vast majority of people don't attend university, although there are institutions all over the country. Before 1820, students only had the choice of Oxford or Cambridge in England or Wales. Whilst Oxbridge seems the home of the elite, it's worth noting that in the early 17th century, more people were attending university than at any time until the 1950s. In other words, although you might not believe any of your ancestors could have gone to university, you might well be mistaken. 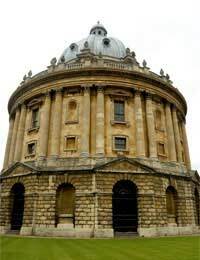 There are two books listing the names of Oxbridge students in alphabetical order, which can be found in larger municipal libraries. The next two universities to open were London (1828) and Durham (1836), whose registrars can help with enquiries. It's worth noting that Catholics and Dissenters (those who didn't follow the Church of England) sometimes sent their children abroad for further education, either to the Continent, Scotland or Ireland. Glasgow had its own university, and the register of that from 1727-1897 is on microfiche. Some technical colleges, like those in Manchester and York, were absorbed as universities replaced them, and their records are now kept by the university. Before the Education Act hardly any children received education. If they learned to read and write it might well have been from a Sunday school or, if they were really lucky, a charity or bluecoat school. you can look around for records but they're few and far between, and the chances of finding your ancestor among the names is probably slim. If you've looked at other information on the person it can be worth pursuing, but be warned that the odds are heavily stacked against you.